Mind provide advice and support, as well as campaign, to improve services, promote understanding and empower people who experience mental health problems. In support of the essential work that Mind do, in 2016, we chose Mind as our Charity of the Year. 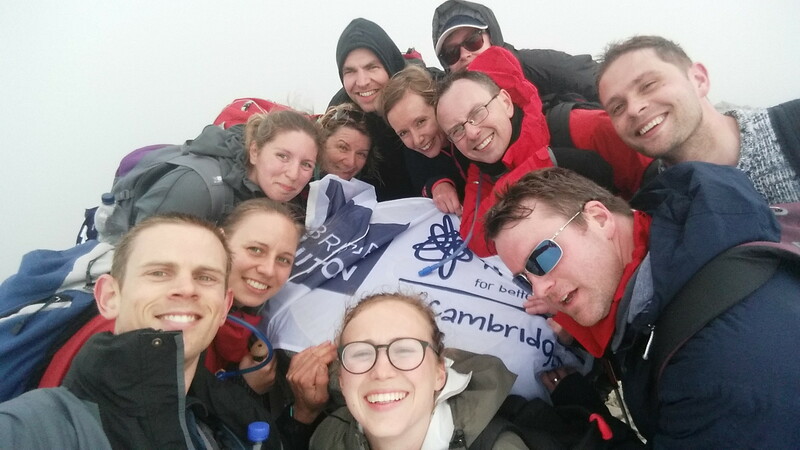 The big, fundraising event that year was the National Three Peaks Challenge: Ben Nevis, Scafell Pike and Snowdon. Here’s a shot of the team having a great (but very wet) time!